This seasonal, St. Moritz hotel emerged from a renovation as a truly modern destination. 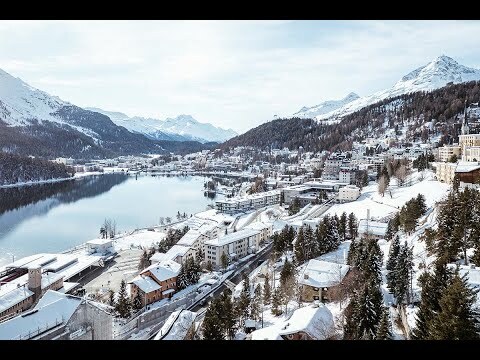 The Carlton Hotel is a seasonal, all-suite St. Moritz property that opened in 1913, and has emerged from a multi-million dollar renovation that redefines the concept of luxury. Skiers are drawn to St. Moritz for its beauty, and its variety of social, sports and cultural events make it a true holiday choice. Accommodations were created by interior designer Carlo Rampazzi and face St. Mortiz Lake and the Swiss Alps. With a 1,200-square-meter spa and many beauty and wellness treatments, the hotel is the perfect choice for international sophisticated travelers. Ski rentals, a ski school on property, personal butler service, a Kids & Teens Club and fine dining at the Restaurant Romanoff. Indulge into the three-Michelin star cuisine of Enrico & Roberto Cerea at the restaurant "Da Vittorio - St. Moritz". Da Vittorio features the Cerea Brothers excellent cuisine focusing on Lombardic specialties and has been awarded with 1-Michelin star and 18 Gault&Millau points. Situated on a plateau above Lake St. Moritz, the Carlton commands majestic alpine views in every direction. The 1200 square-meters Carlton Spa features in and outdoor pool, sauna area, separate ladies sauna and six treatments rooms. 3mi/5km from Samedan Airport (SMV); 133mi/214km from Zurich International Airport (ZRH); 1mi/1.6km from St. Moritz Rail Station.